Who will call the action when Kevin Owens & Sami Zayn put their WWE careers on the line against Randy Orton & Shinsuke Nakamura? Who will go one-on-one in a rematch for the WWE Championship? How will The Usos be at a distinct disadvantage at Clash of Champions? 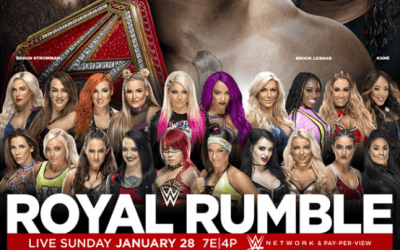 Who will surround the ring as lumberjacks for the SmackDown Women's Title match? Which former tag team partners will go one-on-one on the Clash of Champions Kickoff? What potentially career-changing match will Kevin Owens & Sami Zayn be put into at Clash of Champions and how will Shane McMahon be involved? Who was added to the SmackDown Tag Team Title match? What change was made to the SmackDown Women's Title match? Who will The Usos be defending the SmackDown Tag Team Titles against at Clash of Champions? Who will challenge Baron Corbin for the United States Title? Who will have their rematch for the SmackDown Women's Title? Who will have a rematch for the WWE Championship in four weeks at WWE Clash of Champions? Did AJ Styles dethrone "The Modern Day Maharaja" as the WWE Champion? Will The Usos head into Survivor Series as the SmackDown Tag Team Champions? 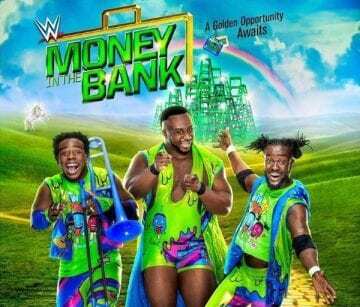 How were The New Day greeted after their RAW invasion? How did Becky Lynch teach a lesson in equality to James Ellsworth? Was Rusev able to defeat Randy Orton to claim the final spot on Team SmackDown LIVE? Who will challenge Jinder Mahal for the WWE Championship at WWE Hell in a Cell on October 8? Was Brock Lesnar able to survive a hellacious and destructive Fatal 4-Way Match to retain the Universal Title? Was Shinsuke Nakamura able to dethrone "The Modern Day Maharaja"? Could Dean Ambrose & Seth Rollins remain on the same page against Cesaro & Sheamus? Did Sasha Banks win her fourth RAW Women's Title at SummerSlam? Could Natalya win her first championship in nearly seven years? How did Randy Orton embarrass Rusev on the grand stage? Was Finn Balor's demonic alter ego enough to defeat Bray Wyatt? Did Baron Corbin get his payback against John Cena? 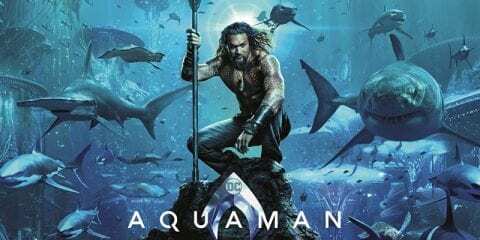 What's in store for the 30th annual SummerSlam? Who will Brock Lesnar defend the Universal Championship against at "The Biggest Event of the Summer"? Who will go one-on-one for the first time ever to decide the WWE Championship? What other championships will be on the line and who will face off in grudge matches at the four-hour extravaganza? 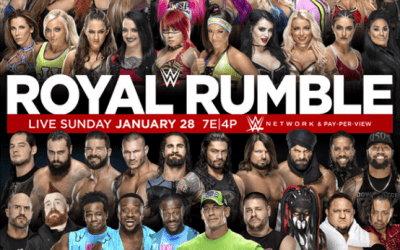 What does WWE have in store for the two-hour SummerSlam Kickoff? How did John Cena ruin the biggest opportunity of Baron Corbin's career? What happened when Shinsuke Nakamura confronted Jinder Mahal before their title match at SummerSlam? How did Randy Orton get a measure of revenge against Rusev? What happened when AJ Styles tried to clear the air with Shane McMahon? Was Natalya able to best Becky Lynch ahead of her title match against Naomi at SummerSlam? How did The Usos pick up some major momentum heading into SummerSlam? Who will challenge Jinder Mahal for the WWE Championship at SummerSlam? What special addition was made for the United States Title rematch at SummerSlam? Who will face Randy Orton at "The Biggest Event of the Summer"? Who will get their rematch for the SmackDown Tag Team Titles? Who gets another opportunity at Neville's Cruiserweight Championship? Who made a shocking return to WWE to provide a major assist in Jinder Mahal surviving the Punjabi Prison Match as the WWE Champion? Did AJ Styles or Kevin Owens walk out as the United States Champion? Who emerged as the SmackDown Tag Team Champions in a stellar title match? Did John Cena successfully defend the honor of America in the Flag Match? Who won the Five-Way Elimination Match to earn a match against Naomi at SummerSlam for the SmackDown Women's Title? How did Baron Corbin take the easy way out in his match against Shinsuke Nakamura? Who will square off in the third ever Punjabi Prison Match for the WWE Championship at Battleground? Who will compete for the United States Championship? Who will go one-on-one in a Flag Match? Who will challenge for the SmackDown Tag Team Titles? Who will face off in a rematch from this week's SmackDown LIVE? Who will compete to become the new #1 Contender for the SmackDown Women's Championship? 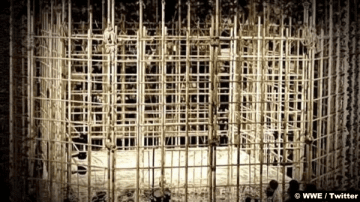 Who will compete in the first Punjabi Prison Match in nearly ten years? Who will challenge The Usos for the SmackDown Tag Team Titles? Who ascended to a guaranteed shot at the WWE Championship as "Mr. Money-in-the-Bank"? How did controversy surround the conclusion of the first ever Women's Money-in-the-Bank Ladder Match? Was Randy Orton able to regain the WWE Title in front of his friends and family in his hometown? How did The Usos find a way to walk out as the SmackDown Tag Team Champions? Who made their simultaneous return and debut at WWE Money-in-the-Bank? Who will be vying for the Men's Money-in-the-Bank briefcase for a future WWE Title shot? Who will have the opportunity to make history by becoming the first ever "Ms. Money-in-the-Bank"? 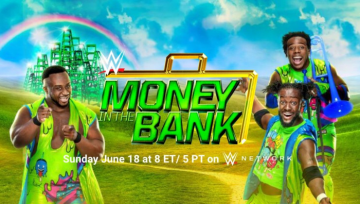 What else is in store for WWE Money-in-the-Bank? Who will challenge Naomi for the SmackDown Women's Title in their singles match debut at WWE Money-in-the-Bank? Who will compete in this year's Money-in-the-Bank Ladder Match for a guaranteed shot at the WWE Championship? Who will get his shot at the WWE Championship in his hometown of St. Louis? How did Jinder Mahal shock the world by doing what many thought was impossible? How did Kevin Owens manage to narrowly escape as the United States Champion? 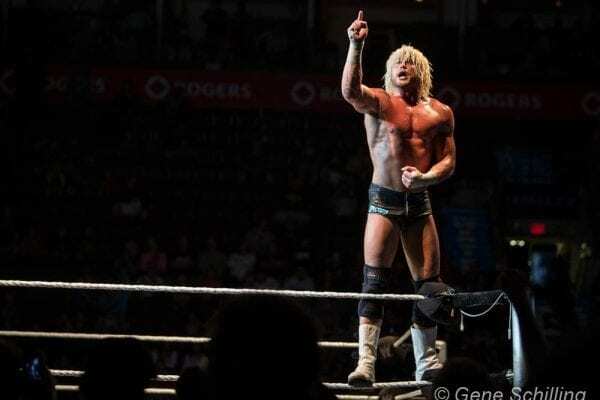 How did Shinsuke Nakamura fare in his in-ring SmackDown LIVE debut against Dolph Ziggler? Was Naomi, Charlotte Flair, & Becky Lynch able to stop the takeover of The Welcoming Committee? Who walked out of Chicago as the SmackDown Tag Team Champions?